There is a whole lot of new in the banana republic of Tropico. Under the hood lies a new developer (Limbic Entertainment takes the reins from Tropico 3, 4, and 5 developer Haemimont) a shift from a proprietary engine to Unreal Engine 4, and a greater emphasis on the lives of your faithful (and occasionally rebellious) Tropican citizens. With all this new game infrastructure, would there be room to add any new features? Straight out of the gate, a welcome feature has returned from previous titles — building your own Presidente. With a handful of options, including male, female, and festive or military clothing, you’ll build your version of a beloved dictator that you’ll see roam about the island, and in another returning feature — election speeches. Before you’ll address your people, however, you’ll need to help them prop up favelas, taverns, farms, factories, and much more. Pulling back the camera reveals the biggest change of all. Tropico has always been a single island nation where El Presidente and his ever-present minion Penultimo have ruled. Tropico 6 pulls back the fog around the nation revealing that it has been a series of archipelagos all along! For the first time in the series we will be putting down coups, building bourgeoisie housing projects, and sometimes holding (and fixing) elections in our own private island chain. The biggest changes to Tropico occurs under the hood as Limbic has rebuilt the fun-in-the-sun kleptocracy from the ground up. The switch away from a proprietary engine to the well-plumbed Unreal Engine 4 means that the game can be more easily modded than its predecessors. If you have a practiced hand with the Unreal Development Kit, you’ll be able to tinker with the guts of the game, making adjustments to the Edicts, types of products for sale, and anything else under the hood. While I don’t have the skills with the UDK to make these sorts of adjustments, you can bet that the community at large will build Evil Raptor Presidente, drop in drug running speedboats, anime-inspired Tropicans, and other craziness that only comes from a dedicated community. 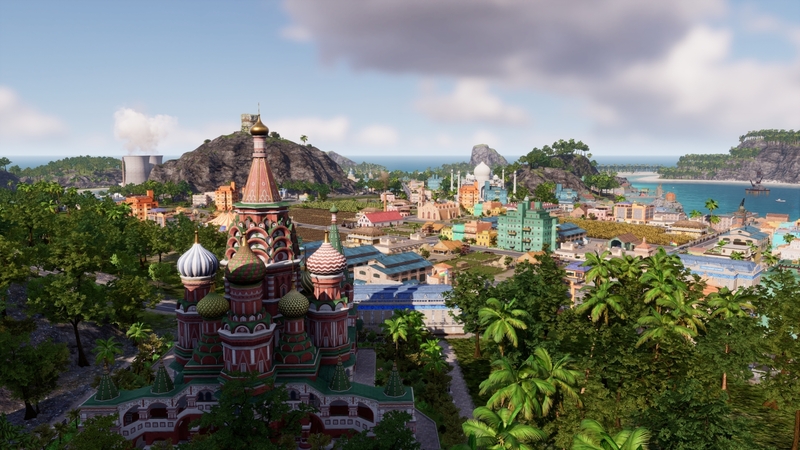 Tropico 6’s engine change also improved the underpinnings of the island simulation mechanics and its citizens. The greater emphasis on the Tropicans themselves makes for a deeper connection to your island inhabitants. Instead of feeling like your subjects are just mindless meat to fill your factories, you can now follow along as they zip around your island, living their lives. While you were able to spy on your residents in previous games, know what they are doing, and more importantly how long they are doing it, begins to matter. Time spent walking around is time not spent working in your factories, fishing, or otherwise making El Presidente any money. Their largest challenge in their simple lives might simply revolve around how efficiently they get to work, and your job as semi-benevolent Dictator is to make sure they get to work in a timely fashion. Cruise ships full of tourists with money. Tropico 6 includes all of the transportation systems from previous installments, but this time around we have a few more added to the mix. Building bridges between your islands opens up a driving pathway, but getting up into the mountains is best done with the new “Teleferic stations” (read: cable cars). If you want to take the Elon Musk approach, you can also drop tunnels to keep overland traffic to a minimum. Bus stations that more effectively go from point A to B instead of roaming around the island can help, and environmentally-conscious Tropicans can use the parking deck nearby to park and ride. A benevolent leader could place traffic inspection points to keep their citizens safe, but a more wise one would use it as a way to collect tolls directly to their Swiss bank account. Before you can start running your banana republic, you’ll need to make a few decisions, first and foremost being your looks — El Presidente (or La Presidenta if you are inclined) needs to look fabulous! Now that you are the sexiest Tropican on the archipelago, you’ll have the option to select a secondary trait (or you can go “normal” if you don’t like the choices). These secondary traits can, as an example, give your Presidente a bump to their Swiss bank account, but also makes the Presidential Palace a den of corruption, boosting crime in the area. Similarly, the Workaholic trait boosts all building efficiencies by 1%, but decreases all happiness by 2%. Ultimately, these traits don’t move the needle much, but enough to be noticable depending on your playstyle. Last but not least, you can also decorate your Presidential Palace, placing zen gardens, helicopter pads, swapping out the window styles, changing all of the colors, and more. As you progress through the four eras of the game, you can even get things like an El Presidente hologram to help your less fortunate inhabitants adore you night and day. 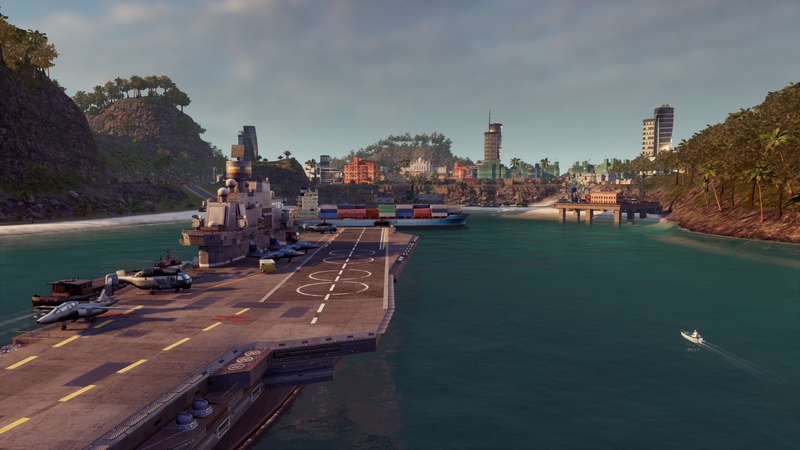 In a throwback to Tropico 2, one of the new buildings in Tropico 6 is the Pirate’s Cove. This building lets you conduct raids on other nations. These can be used to collect specific resources, “recruit” people to work on your island, intimidate or sabotage other nations to weaken them, spy on other superpowers, write fake reviews to pull in more tourists, incite rebellions, and even steal up to four of the 17 possible landmarks including the Eiffel Tower, Stonehenge, the White House, and China’s Temple of Heaven, just to name a few. Each of these landmarks not only makes your island look awesome, but also grants additional gameplay benefits. For example, nabbing the Hagia Sophia stops Tropicans from dying from lack of healthcare, whereas the Statue of Liberty makes every new immigrant coming to your island happier and more likely to vote for you in the next election. Customizing your palace to make it your own. There is one element that I will miss from previous Tropico games — the Dynasty system. In Tropico 5 you could create a legacy that would endure across the ages via your seven family members, adding personal traits as you progressed through time. Money you’d collected in your Swiss Bank Account could be used to upgrade their traits, giving them additional personality and game modifiers. Tropico 6’s storyline is no longer linear, instead set as 15 individual missions spread across four different eras. It means your Presidente is able to leap across time, but it does replace the cohesive campaign and Dynasty of the previous game. These missions are also gated, but you only have to complete nine of them to unlock them all. There is also an easy, normal, and hard difficulty for each. 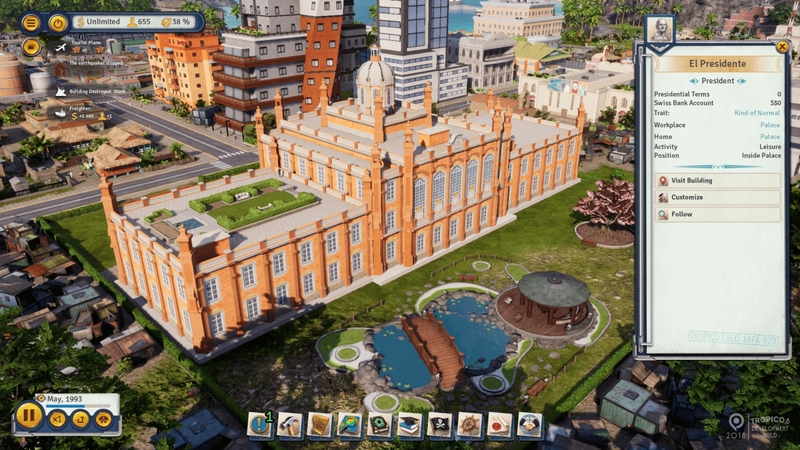 I do have one axe to grind in the overall simulation system of Tropico 6. Each building has a set of upgrades that increase efficiency, improves yield, or otherwise makes the building deliver whatever service better. These upgrades provide a good tradeoff for some assumed risk. As an example, you can tell your teamsters to step it up a bit, but at the risk that they lose a percentage of their boxes as they haul them to the job site. My complaint is not the risk/reward mechanic, but the descriptions. Sometimes it’s hard to discern what benefit I’m getting, or what’s at stake, leading you to just mindlessly click and hope for the best. These need a little love for fans to enjoy them effectively. El Presidente’s military power includes aircraft carriers. Beyond these upgrades, however, is a new mechanic that lets you apply further adjustments to your worker output. You can run your factories humanely or you can push your worker bees harder at a hit to their happiness. That’s nothing a few more taverns won’t fix, right? 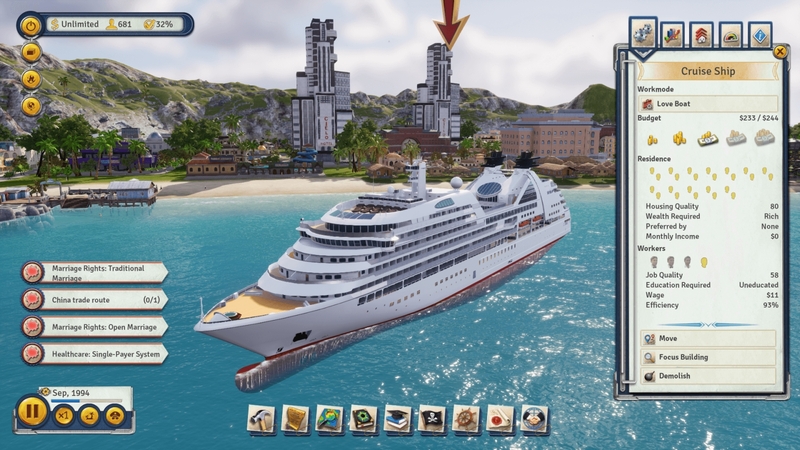 Tropico 6 supports multiplayer for up to four players in cooperative or competitive play. With nine maps to choose from, you can tinker with just about every aspect of the game before you begin. What era, how much money, how many tasks to win, how much accumulated Swiss Bank Account wealth, how aggressive your detractors will be, how frequently you’ll see natural disasters, and much more can be tinkered with to tailor precisely the conditions you’d like to play in. The maps feel balanced, but they are in no way symmetric, leaving each player with unique challenges to overcome. Many of the maps have their most precious resources on a central island, creating a perfect opportunity to cooperate or declare war on one another. Stealing landmarks for fun and profit! Beyond the multiplayer, there is also a sandbox mode for players who just want to build and manage without as many ticking clocks and restrictions. If that’s your jam, it’s available, but in my experience, it’s the little unexpected challenges that make Tropico shine brightest. Saving the best for last, there is one returning mechanic that wraps up the whole package nicely — Election speeches. While it got the axe in previous games, it makes a triumphant return here. Your bespoke Presidente steps out on their balcony, addresses the mob, and makes vague promises. These become sub-objectives that you’ll be expected to deliver (or cheat your way to making your peasants believe you delivered them) lest your popularity take a hit. 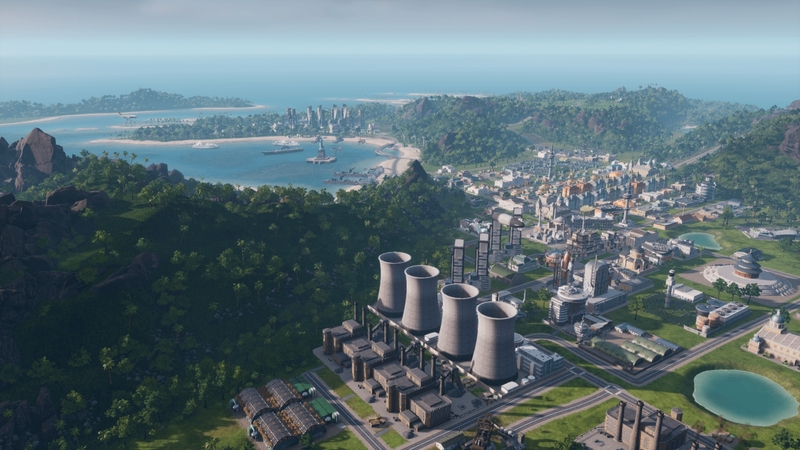 Tropico 6 overhauls the entire infrastructure, bringing forward most, but not all of the features we had with previous outings. A greater emphasis on transportation and simulation deepens the experience and makes Tropicans feel less like mere numbers. 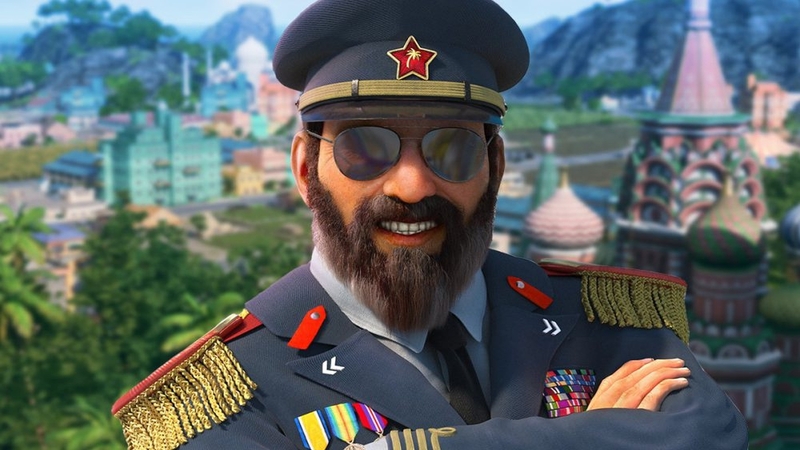 At its heart, Tropico 6 is still a game about building your empire and making it grow, but it’s the small mechanics that create a connection with your benevolent dictator, and help make your anarchy-prone archipelago feel a little like home. Well, there are several extra information that I didn’t know earlier. Where have you taken it from?